Capillary flow (or scavenging) in conformal coating processing is where the coating pulls or runs away from certain areas of a PCB to more favourable areas. This is due to a combination of effects which leave a patchy finish on the surface of the board around the defective area. There are several options to resolve this issue and prevent this occurring in production. 3. A low surface energy of the substrate (laminate) PCB. 4. 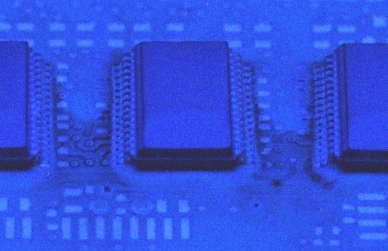 The high surface tension of the conformal coating. Several examples are shown in the images below where the conformal coating has drawn away from the components or surface, finding it more energetically favourable to gather around the devices, which in turn produces a poor conformal coating finish. It is possible to minimise the capillary effects by using different techniques to aid the process. If the conformal coating has a low viscosity and is in a liquid state on the PCB then it will tend to migrate under devices. This is due to low surface tension effects. Increasing the solids content (reducing the amount of thinners used) can help with this issue. Applying less coating per application allows the coating to dry quicker and there is less liquid to migrate away from the area in question. By cleaning the PCB, this allows the surface energy of the laminate to be more suitable to wet to. 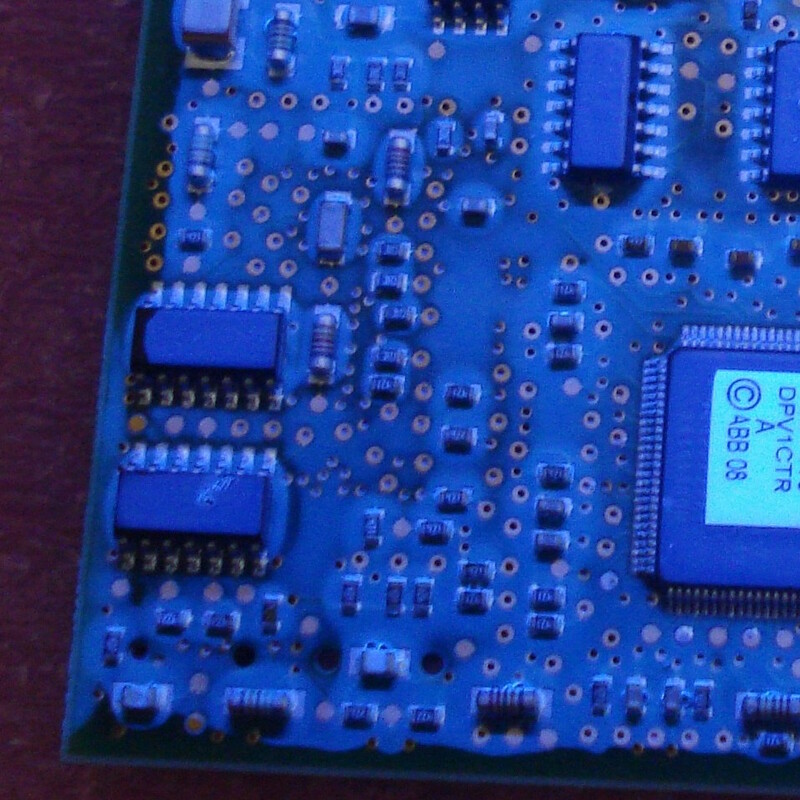 If the PCB is “dirty”, then the coating may not want to stick to these areas of the board. The coating will then run away from the area. Many times it can be found that problems occur when changing from a good solvent based conformal coating process to a different material that is solventless. This is because the solvents in the coating “cleaned” the board as they coated and had better bonding. By heating the board you can accelerate the evaporation of the solvent from the coating and make the coating “gel up” quicker. This will mean it will stop migrating quicker. This has to be balanced against drying too quick which can cause other problems.